We are a small family owned business that believes in servicing our customers before and most importantly AFTER you purchase an insurance product from our agency. We have 25+ years experience in the insurance industry. We are an insurance broker having access to several A+ companies. We can help find the carrier that matches your needs while providing you with a fair price. We consider ourselves your agent, not a salesperson. We are here to assist you with your insurance needs and provide our expertise in helping you decide what coverages will protect you and your family at a fair price. 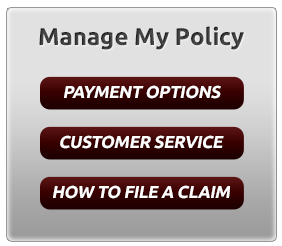 We will make obtaining a quote as simple as possible and work around your schedule. Most forms can be completed in 10-15 minutes and then we do the rest. We can quote up to 15 different carriers, so you know you are getting a fair price!